With the new year comes new tech. With AMD’s Ryzen here and the new 7th Gen Intel Chips we are looking forward to a lot of these builds over the next few months, because well – they are an absolute blast to build and work with. 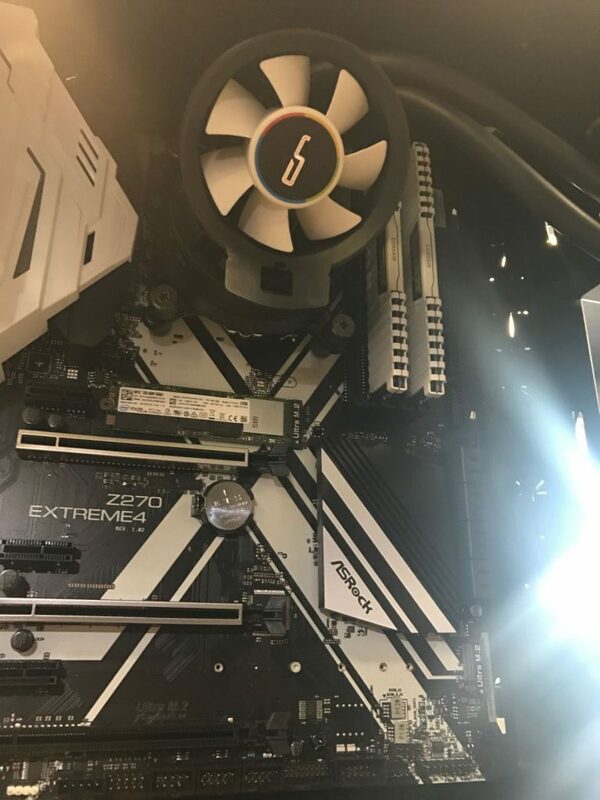 We had several Z270 builds and more on their way. Recently and had the opportunity to document one of them. This is a nice build that will be used for the Latest Steam Games, World of Tanks, Overwatch, and Fallout 4 as well as an HTC Vive VR System. Our fee to build, stress test and set your machine up is a flat $200 free plus shipping if desired (We ship to all 50 States). 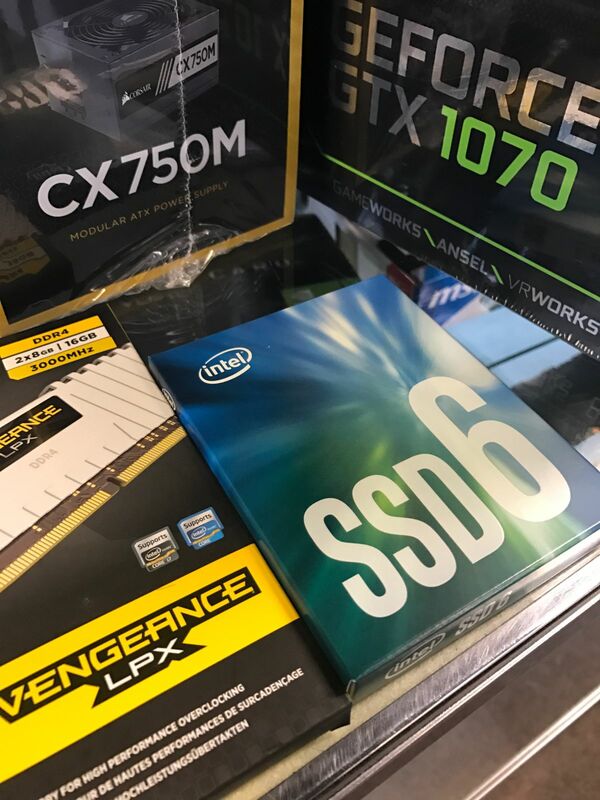 We build you a list of parts based on your budget, You purchase the parts, deliver or have the parts shipped to us, and we custom tailor your build to your budget to make your new machine as fast as possible. The benefit? No extra bloat software, nagware, trial software that does nothing for you. Just Windows and your games, the way it was meant to be. The result? Constant high performance, no extra resources taken up by useless software, and premium quality electronics with 3-5 year warranties and some Lifetime warranties available. These machines will take any game your throw at them all while standing the test of time and can be enjoyed for years to come. 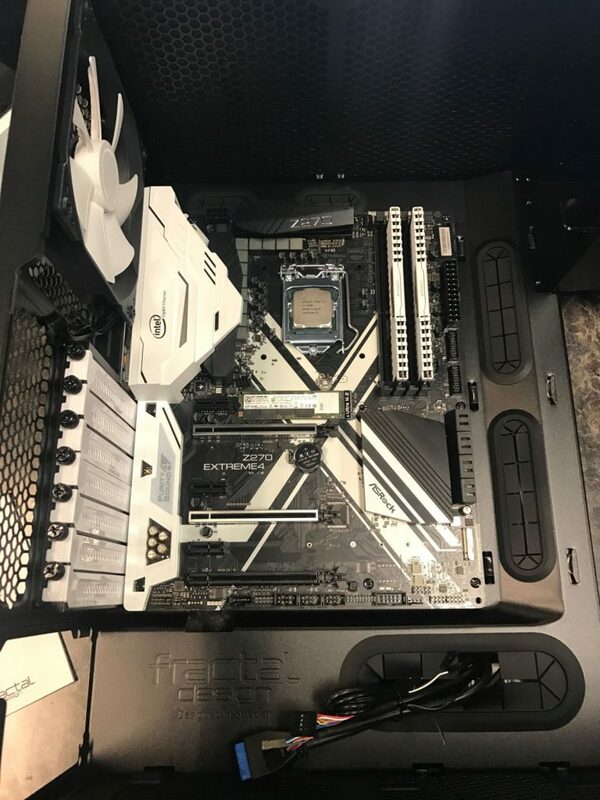 To get started on this build we went with an AsRock Z270 Extreme 4 Motherboard and i7 7700k. Other parts included an Intel 500GB M.2 NVME SSD, Corsair CX750M Power Supply, EVGA 1070 GTX FTW Video Card, and 16GB of DDR4 Corsair Memory @ 3000Mhz, and a Fractal Design Case. 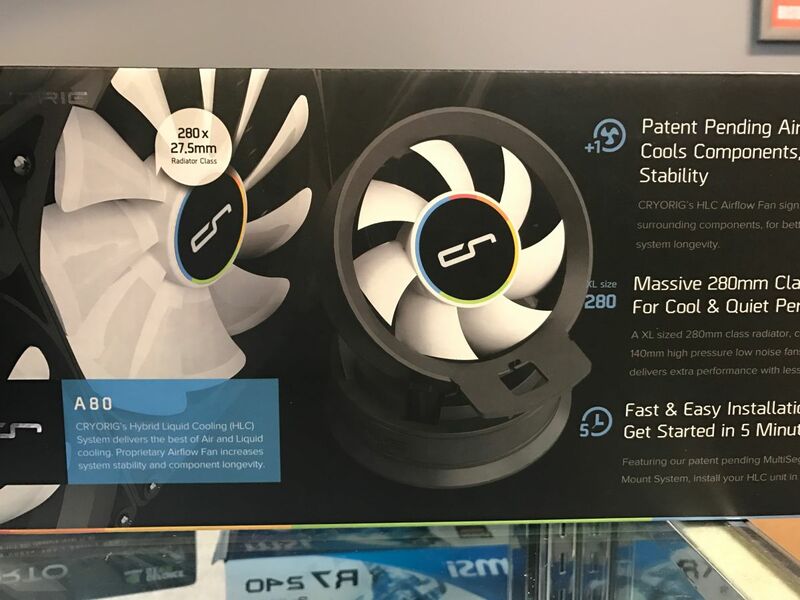 To cool the 7700k we went with the CryoRig A80 Hybrid Water Cooler that keeps the temps around 25C at Idle in Windows 10. For those unfamiliar with this model, it is a water cooler, but the water block, and pump have a mountable fan attachment so keep the area around the CPU and Ram cool on the motherboard as they can get hot depending on what the PC is doing. Here is the motherboard, memory and SSD installed in the Fractal Design Case. The Cryorig didn’t exactly fit the way it was supposed to in the Fractal Design case, because the screw holes were off a bit from the case, so we had to drill them a bit wider. The mounting hardware on the motherboard itself was very solid construction and you could certainly feel the airflow of the water pump’s mounted fan. Certainly will keep our memory and PWM’s cool on the board. 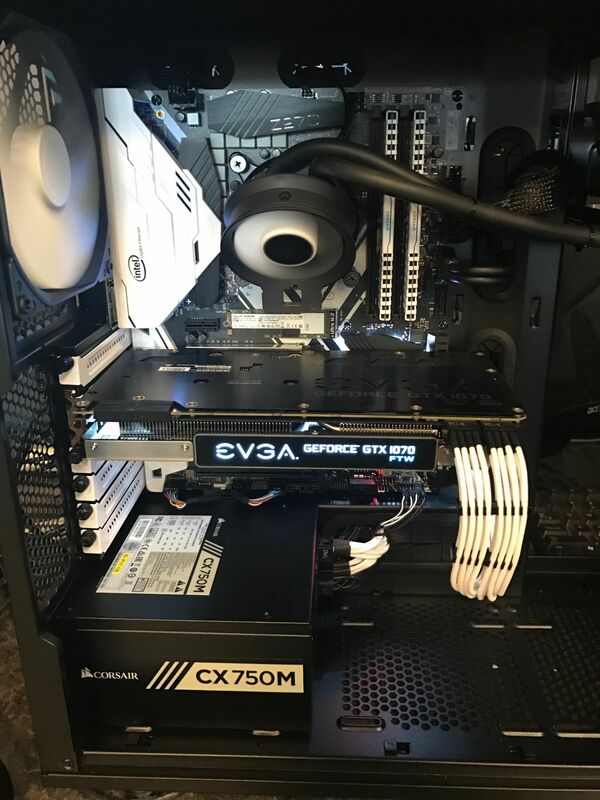 Next was the Power supply, Video Card and some White Sleeved cables we threw in extra to complement the colors of the inside for our customer. 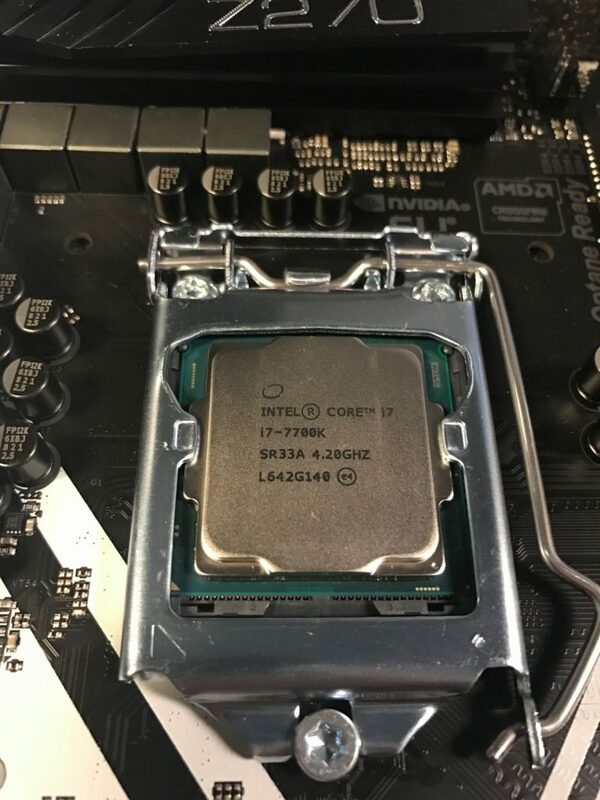 The UEFI bios on the AsRock Z270 Extreme 4 had a few bugs but luckily there was an update released a few days ago to fix some of the GUI and temperature reading problems. Windows 10 was installed and we burn in tested everything to ensure stability. Windows 10 screamed, but more importantly, games loaded instantly and played very smooth. Class act experience. This machine really performed well. While some of the initial release BIOS’s still need to be ironed out, I feel the Z270 chipset is an amazing performing board that will last for many years to come. I really wish I could have grabbed some screenshots of the Timspy or Firestrike 3DMark results but I forgot. My bad. The Timespy score was around 6900-7000 from what I remember of it. Will grab them for you next time. Will do a few more of these builds so I will update it here when I get them.